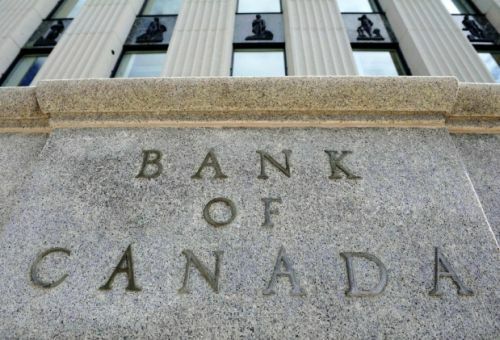 OTTAWA - The Bank of Canada is holding its trend-setting interest rate at 0.5 per cent but it's keeping a watchful eye on "significant uncertainties'' that it warns could alter the economy's improving trajectory. The central bank's scheduled rate announcement Wednesday arrived as Canada tries to assess the direction of U.S. economic policy under President Donald Trump and the potential fallout from any changes he may bring. The bank has said some U.S. proposals, which include tax cuts, a border tax and protectionist policies, would have ``material consequences'' for Canadian investment and exports. "The bank's governing council remains attentive to the impact of significant uncertainties weighing on the outlook,'' the release said. In explaining the decision by governor Stephen Poloz's council to stick with the current interest rate, the bank said that improvements seen in recent data releases have been consistent with its projections. For inflation, the bank said it's looking past January's surprisingly robust headline figure of 2.1 per cent. It said the number was a result of a temporary jump caused by higher energy prices that were largely tied to the implementation of carbon-pricing policies in Ontario and Alberta. The Bank of Canada was widely expected to leave its benchmark interest rate untouched Wednesday, particularly with so much uncertainty surrounding the policy direction of the country's largest trading partner. Analysts were hoping to learn more about the bank's thinking when it comes to potential U.S. policy changes, but the brief statement offered few details. On the positive side, it said at the time that fiscal expansion in the U.S. would be a positive for Canada through increased foreign demand. But it added that Trump's vow to cut corporate taxes would threaten Canadian competitiveness. On Wednesday, Finance Minister Bill Morneau will meet his new U.S. counterpart, Treasury Secretary Steven Mnuchin, for the first time. Morneau and the federal government have been trying to figure out Trump's plans and how they may affect Canada.